Celebrating 12 years leading bicycle tours in the best of all 50 states, where will you go next? When we ride our bicycles on Maui from its heavenly beaches to its scenic natural wonders there are plenty of reasons it is easy to see why Maui has been voted “Best Island” by readers of Conde Nast Traveler for more than a dozen years. 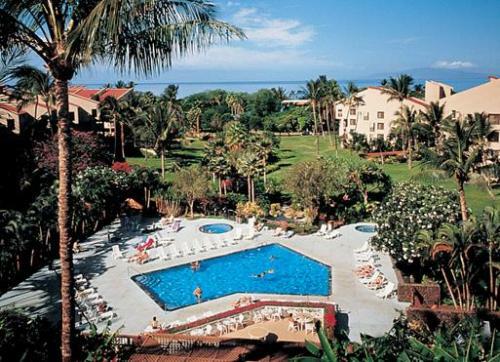 We stay in Lahaina for two nights, which has been consistently ranked one of the best towns to visit in Hawaii; and spend the first four nights in luxury condominiums with full kitchens. Many people have said they always wanted to go to Hawaii, and now combining bicycling, we can experience the perfect vacation. We ride through the black lava fields, which remind some people of the landscape on the moon (though so far none of the participants have actually been to the moon). We enjoy a “free” day to enjoy your own personal adventure, including the Road to Hana, Riding down (or up) Haleakala Volcano, Zip Lining or taking a snorkeling or scuba trip. On one day due to the consistent trade winds, we will ride with a tailwind that averages from 40 to 60 mph! Check into the Kamaole Sands throughout the day in Kihei, known for being “Sandy and Sunny” with the area’s most desirable attraction – the beaches and the ocean. With a beach directly across the street, everyone can enjoy snorkeling, swimming or just relaxing on the beach. In the evening meet new friends during the Welcome Dinner and Get Together, which is scheduled at 4:00 pm Hawaiian time. Togarashi & Sesame Seared Ahi - Ginger butter sauce, wasabi aioli, crisp daikon, sesame, steamed rice. Blackened Mahi-Mahi - Big island papaya salsa, Chinese parsley, light ginger butter sauce, steamed rice. Roast Prime Ribs of Beef - Hawaiian Alaea salt crusted, horseradish, popover, buttermilk mashed potatoes, au-jus. Mac Nut Crusted Breast of Chicken - Lemon-caper butter sauce, asparagus and mushroom linguine. 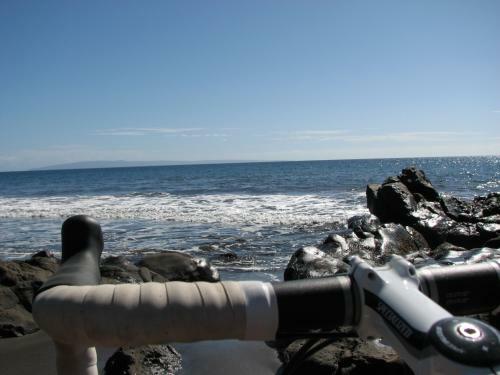 The best way to start a Maui group bike vacation is to ride next to the ocean. Leave our new home, where we will stay for four nights and view the beauty of Maui on an unforgettable ride near and along the shore, riding south of Kihei through Makena State Park and Ahihi Kinau natural area reserve. Then view the distinct ecosystems as you cruise through the black lava fields behind Haleakala volcano. Bicycling route: 0 miles, staying at the hotel or 22 miles, riding the complete route. Now that we have ridden next to the ocean, what can top that? Ride past pineapple orchards and sugar cane fields, while viewing rainbows overlooking the mountains. 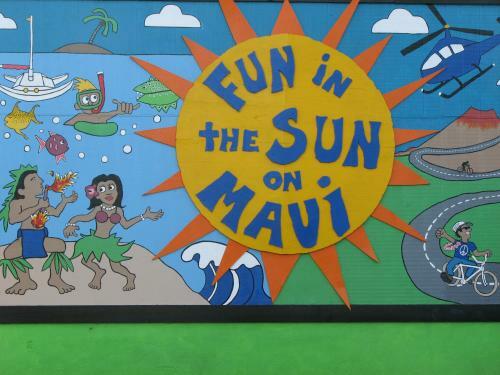 Journey from Kihei to Paia, one of Maui’s hippest little towns. We will also stop by Hookipa to watch some of the country’s best windsurfers and kite boarders. After arriving back at the hotel enjoy snorkeling, sea kayaking or just watch the sunset at night in one of the best sunset viewing areas in Maui, located directly across the street from where we are staying. Bicycling route: 0 miles, staying at the hotel or 39 miles, riding round trip to Paia. Enjoy an "off day" to enjoy Maui: Go shopping, snorkel across the beach or book a kayak or snorkeling cruise or learn how to paddle surf. 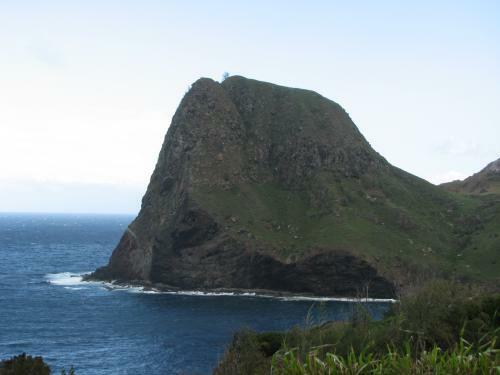 Other adventures include enjoy one of the "best zip lines in the U.S." or cycle down Haleakala volcano. If that isn’t enough, rent a jeep and drive the whole island. Today journey by bicycle from Kihei to Lahaina. Oceanfront bike riding from behind your handlebars with beautiful ocean views all along the way is an amazing way to take in the beauty of Maui. Once you arrive, check out all the attractions, restaurants and shops all within walking distance of our hotel. Settle into your new home only steps away from the world famous Banyon Tree, which is the most visited tourist attraction on Maui. Then send actual painted coconuts as postcards, telling friends of your adventures on Maui. The fun never stops in Maui. Dinner on your own. Today is a great day to ride our bikes to Kapalua and the north loop area of Maui. 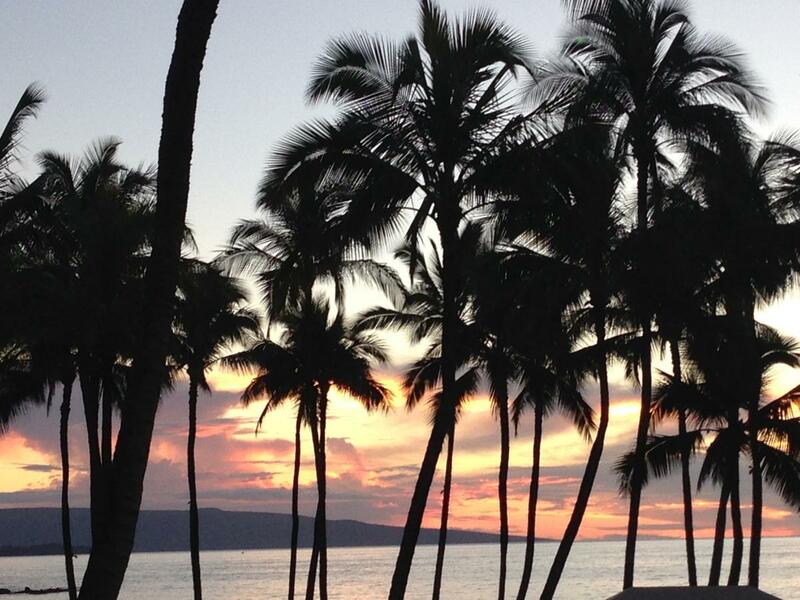 Then travel to the ocean city of Lahaina, enjoying many beautiful island views for unforgettable pictures. Bicycling route: 0 miles, staying at the hotel or 26 miles, riding north to the beautiful and unobstructed views of north Maui. Say "Aloha” to Maui. Breakfast on your own. Say goodbye to your favorite sights and mail your postcards so everyone will know you vacationed in Maui on a bicycle! Please note all trip information is based on previous trips and/or contracted lodging and restaurants and is subject to change based on availability or specific trip needs. Riders who are comfortable riding at least 10 miles per hour should have a very enjoyable trip. All riders may ride at their own pace, slow or fast. If a rider is tired or feels like riding less on any day, the SAG vehicle will transport the rider to the hotel. 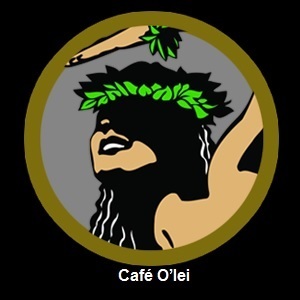 You can fly directly into Maui Kahului International Airport (OGG). For transportation from the airport to the hotel, we would recommend SpeediShuttle 877-242-5777; or take Lyft or Uber. $200 due to reserve your spot and the remainder due 45 days before the trip start. Most riders rent their bicycles on Maui. To rent bikes: Boss Frog's Dive, Surf & Bike Shop, (808) 875-4477 located less than a mile from the first night hotel. Boss Frog has multiple shops on Maui. Vacation Bicycling will assist in returning your bike at the end of the trip to Boss Frog's. Boss Frog rents hybrid and road bikes. Also, Boss Frog is open early every day, has multiple locations and in case of a mechanical problem will just swap bike. To ship your bike, we would suggest using shipbikes.com for shipping.